If you are linking up Etsy or web stores Please Do NOT link up more than 1 Links PER Store .. For anything else other than Web Stores Please do not link up more that 4 links. Also.. Please don’t link up the same link Over and Over and Over again :) I’m sure you understand why…Thank you! Thank you so much my friend for throwing this gorgeous party each and every week! LOVE LOVE LOVE it and love you too!!! Sending hugs to all! 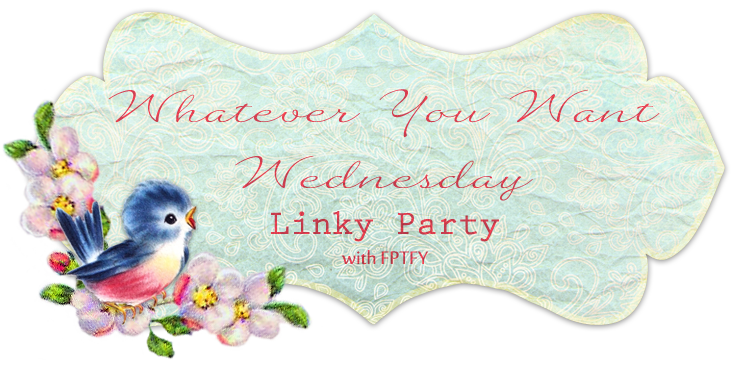 I always look forward to Wednesdays and your linky party. Thanks for hosting such a great party!! Thanks again for hosting yet another wonderful party/week’s worth of linkies. You rock!